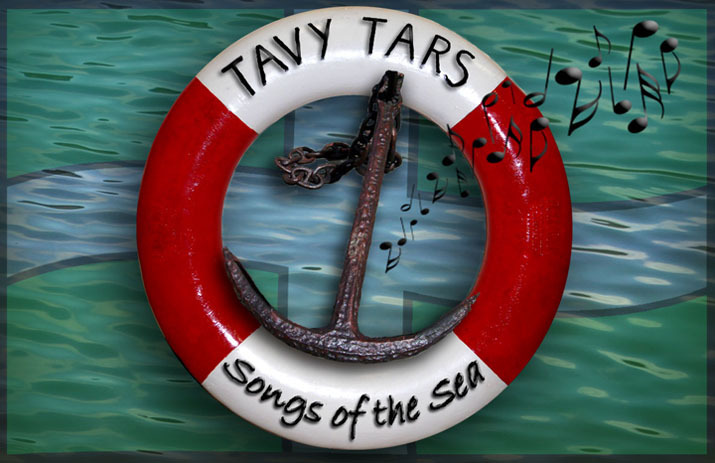 In fine South Hams summer weather, The Tavy Tars helped launch Dartmouth’s first ‘Sea Shanty Festival Weekend’ on Sunday July 10. The Tars first set was in the delightful Victorian bandstand in the Royal Avenue Gardens. But then they got afloat, with two trips serenading passengers on the ‘Dart Explorer’ as she made her way up to Dittisham and back down through the busy harbour as far as Dartmouth Castle. Some of the nautical audience had come down from Bristol on a special train to Kingswear, hauled by the splendid steam loco ‘Tornado’. Besides the singing, The Tars enjoyed seeing some familiar faces (and the odd bit of banter!) among the other shanty crews taking part - Falmouth Shout, Flash Jack and Mariners Away. 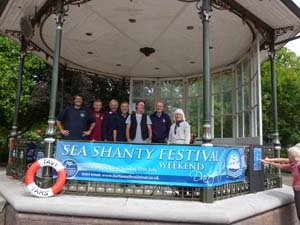 With its superb harbourside setting, lively crowds and friendly hosts, Dartmouth’s first shanty weekend was a great success.